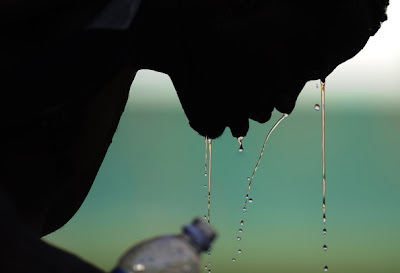 Australia sighs under extreme heat wave which records are broken every day, temperatures up to 54 degrees. Media in Australia predict that in the coming days the heat record of Australia from 1960 will die. 52 years was the subject of southern Australia over 50.7 degrees, but that record seems crushed to go. For the next few days to Australia temperature expected that sometimes above 54 degrees can come true, at present average temperature in Australia over 40.3 degrees. This extreme heat wave in Australia also causes issues with the meteorologists, says an Australian newspaper. On weather maps they use are not colors reserved for a temperature of 50 degrees or more. Until now, the color dark red color that was used for temperatures above 40 degrees. As of today there are the deep purple and pink colors added. The deep purple color is already used on the weather charts in Australia. These give a temperature of over 50 degrees. The color pink, which will be used for temperatures above 55 degrees, is not (yet), but it is not excluded that this persistent heat, the color pink is going to be used.